The 10 Best BBQ Joints in Nebraska! It’s easy to feast in Nebraska with all of the great offerings from the local barbecue joints. From the casual roadside stops to the white-tablecloth restaurants, in Nebraska you will find some of the most succulent brisket, sweet pulled pork, hickory-smoked ribs and a ton more! Here are the 10 best barbecue joints in the state. At Hartland Bar-B-Que you will find great barbecue slowly smoked to perfection. A casual and friendly diner located in the heart of the Benson neighborhood, their meat is smoked using the old-fashioned pit style. Swine Dining BBQ offers up delicious smoked meats and amazing barbecue sauces to add extra flavor. Make sure you pick up a slab of their award-winning ribs which are the talk of the town! Fill your belly and warm your heart with Smoking Jay’s top quality smoked meats. A new player in the Omaha barbecue scene, they are making a name for themselves by offering fresh and delicious ingredients and serving up some of the best barbecue in town. Fat BBQ Shack offers the finest true wood-smoked barbecue in town, made with love and soul. A favorite among locals for their smoky barbecue, tasty sides, and delectable desserts. This take-out only restaurant serves up barbecue greatness in the form of tender meat smoked to perfection. Pick up hearty lunch or go for the whole pork shoulder and feed a family with delightful barbecue. Phat Jacks serves award-winning Kansas City-style barbecue. Inside the restaurant, you will find a monstrous wall full of the awards to back up their delicious, perfectly cooked barbecue that will melt in your mouth. 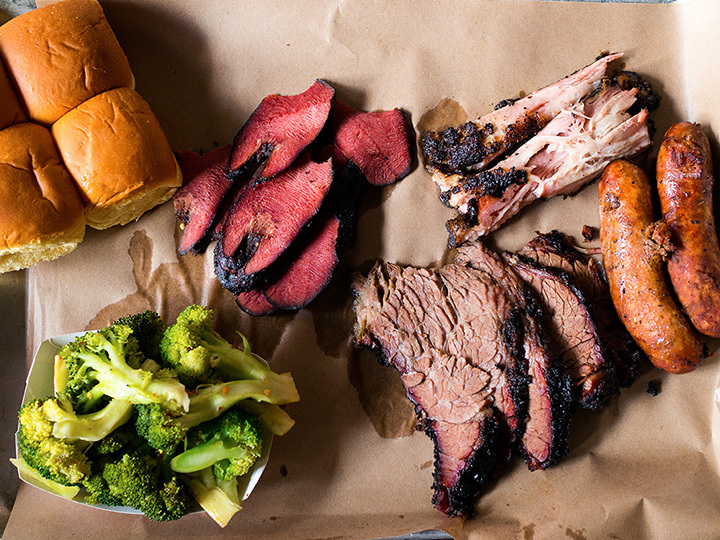 At Boyd and Charlie’s, you’ll much on sweet, savory and smoky barbecue in a rustic atmosphere. What’s better than that? Head there for Happy Hour and try barbecue pizza, tacos or sliders and pair it with a $2 beer. “Just great BBQ,” is their motto, and we couldn’t agree more. After many years of backyard cookouts and competitions, Hickory Road BBQ opened up to public to provide the people with a slew of amazing smoked meats and sides. Known by locals as one of the go-to barbecue joints, make sure to try their special smoked wings for something truly special. Parker’s Smokehouse serves up the best barbecue with soul in the state. Their slow cooked meats and famously zesty sides will leave your mouth watering and belly full. Hog Wild's mouthwatering, award-winning, slow-smoked pit barbecue will have your stomach rumbling the second you step inside. Try their beef brisket and wonderfully-tender pulled pork.